The location of this Lake Geneva lakefront home on prestigious Basswood Drive on the South Shore of the lake is hard to beat. Located on just over 2 acres of beautifully wooded grounds and 150′ of ideal level lake frontage, it offers a charming winding driveway entrance in to the home and fabulous panoramic views of the lake. The home has been tastefully updated with a modern kitchen and baths and presently offers comfortable Lake Geneva waterfront living in its current condition with 6 spacious bedroom suites and 6.5 baths. It would also be a perfect candidate for a remodel or renovation project, as well as a place to start over fresh with a new home construction project, as has been done with many of the neighboring homes in recent years along this scenic section off South Shore Drive. Directions: Take South Shore Dr. east from Fontana turn left on Basswood to property. Please, send me more information on this property: MLS# 1620715 – $4,799,000 – W4446 Basswood Dr, Linn, WI 53147. 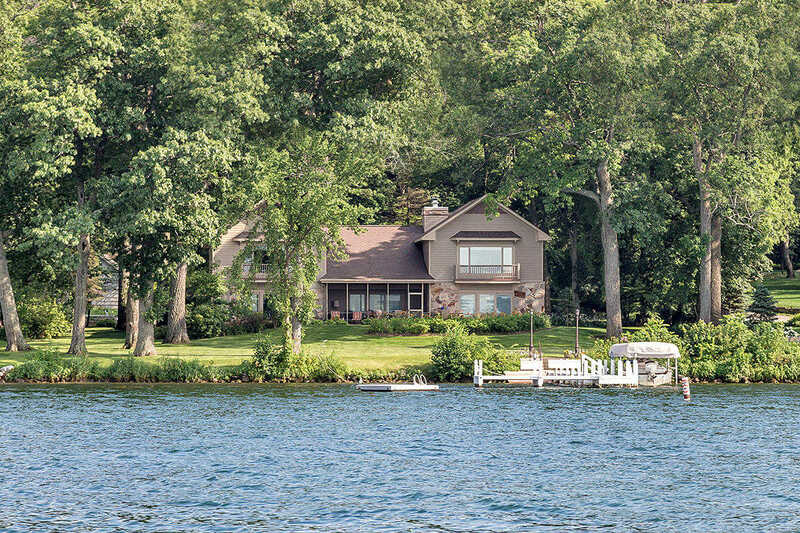 I would like to schedule a private showing for this property: MLS# 1620715 – $4,799,000 – W4446 Basswood Dr, Linn, WI 53147.